The Student Financial Aid Office administers federal, state, and institutional aid programs in order to provide financial aid to qualified students. The programs of financial aid include Scholarships, Grants, Loans, and Student Employment. With the exception of grants, which are always need-based, each of these financial aid programs can be either need-based or non-need based. All need-based programs are based on an assessment of an Expected Family Contribution using family income and asset information provided by the completion of the Free Application for Federal Student Aid (FAFSA) by the student and/or parent. Students applying for financial aid programs that require the FAFSA must be U.S. Citizens or permanent residents, must be admitted as degree-seeking students, and if seeking a second bachelor’s degree, have declared a major. The financial aid school code for the University of Memphis is 003509. The Financial Aid Office offers students a financial aid package once the FAFSA results are received. Students can view their financial aid package on their myMemphis account. It may be a possible combination of grants, loans, scholarships, and employment to meet as much of the student’s need as possible. Enrolled hours, residency classification, cumulative grade point average, and other financial assistance already received will affect the amount and type of financial aid students can receive to meet their financial need. Click here for more information about the different aid programs. The University of Memphis offers two programs of on-campus employment. Federal Work-Study is a need-based financial aid program. The regular student employment program is not need-based and is available to any student enrolled at least half-time. Job openings for both programs are posted in the Student Employment Office website. The University of Memphis offers several hundred scholarships each academic year in varying amounts depending on the particular guidelines for the scholarship and the academic credentials of the student. For more information on UNDERGRADUATE scholarships, please visit www.memphis.edu/scholarships, or contact the Undergraduate Scholarship Office directly at (901) 678-3213 or via e-mail at scholarships@memphis.edu. For more information on GRADUATE scholarships, contact the Graduate School at 217 Administration Building, Memphis, TN 38152, or call (901) 678-4212. For more information regarding LAW scholarships, contact 203 Cecil C. Humphreys School of Law, Memphis, TN 38152 or call (901) 678-5403. The University of Memphis awards hundreds of academic scholarships each year to entering freshmen. All scholarships are awarded for the academic year (Fall and Spring semesters only). Scholarships are awarded based on information submitted on the University of Memphis admissions application. A separate scholarship application is not required unless noted. The priority deadline for admission to the University of Memphis for scholarship consideration is March 1. 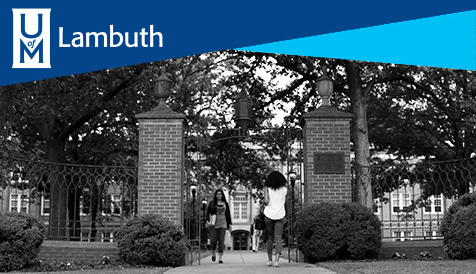 All University of Memphis scholarship program awards are based on a combination of ACT/SAT scores and cumulative high school grade point average (7th semester). These scholarships are four year, renewable scholarships requiring full-time enrollment. Early application to the University of Memphis is strongly encouraged as scholarship awards are limited. For a detailed list of available scholarships, please visit www.memphis.edu/scholarships/listscholarships.php. Each year, the University of Memphis awards a number of private scholarships thanks to the generosity of faculty, staff, alumni, and other supporters of academically exemplary and financially needy students at the University of Memphis. The amounts vary with each scholarship, and scholarships are awarded on a competitive basis. For more information concerning Private Scholarships, please click here. Are you looking for a scholarship? Students and their families are encouraged to search the web to explore the exciting possibilities of finding a scholarship especially for you. Click here to get started. The Federal Tax Reform Act of 1986 significantly changed the tax status of scholarships, fellowships, and grants you receive from the university. Prior to the Act, scholarships, fellowships, and grants were generally not subject to income tax. Since then, scholarship, fellowship, and grant amounts exceeding tuition, fees, and course-related books, supplies, and equipment have become taxable.